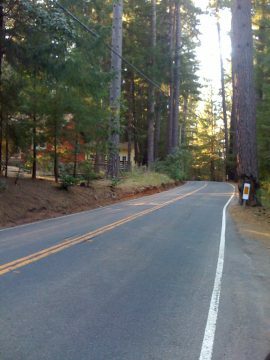 U.S. 101 (Redwood Highway) at California 175 east in Hopland. Photo taken 07/05/13. From Lakeport through Kelseyville, California 29-175 is a multi-lane divided expressway. The route over Cobb Mountain and the Hopland Grade are both narrow, winding roads. Over Hopland, the highway hugs the landscape as it winds it way over the grade, while the route through Cobb Mountain and Whispering Pines has reduced visibility due to the forested areas it traverses. An oddity in Lake County are street blade signs listing California 175 through Cobb Mountain as "SHO 175." Tall trees stand along California 175 through the Cobb Mountain segment, as the state route winds through small locales such as Whispering Pines, Loch Lomond, Adam Springs, Hobergs and Cobb. Photo taken by Leland Bailey (08/27/11). 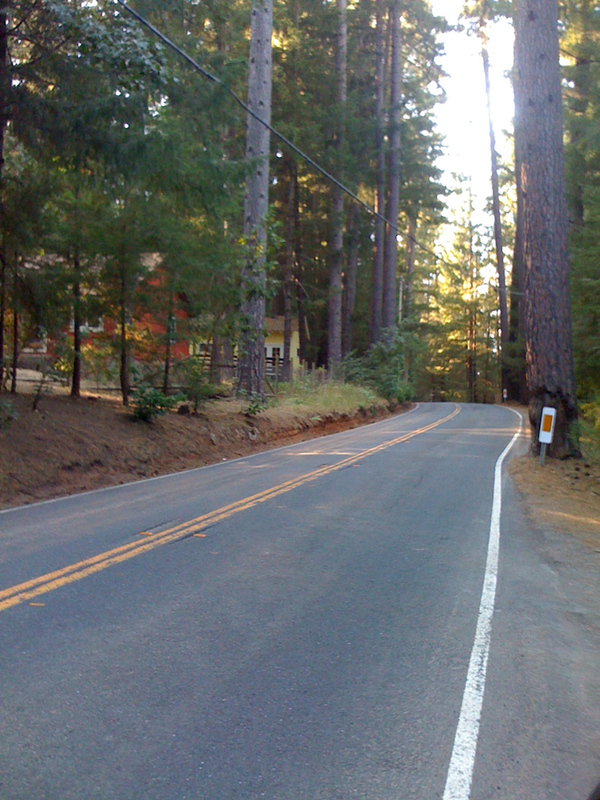 Westbound California 175 concludes at U.S. 101 (Redwood Highway) in the unincorporated community of Hopland. Photo taken 07/05/13. 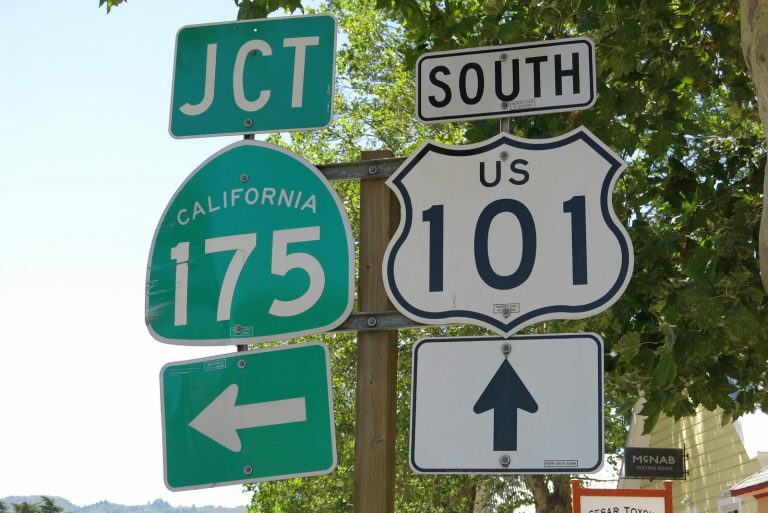 Upon reaching U.S. 101, traffic may turn left from SR 175 west for U.S. 101 south to Santa Rosa and San Francisco or turn right for U.S. 101 north to Ukiah and Eureka. Photo taken 07/05/13.